1. Daniel to ring in a striking competition for the FIRST time. 3. Tina learn to call a basic call-change. 4. John ring the treble unaided to a touch of Little Bob Minor without help, for the FIRST time. 5. Lawrence ring above inside for the FIRST time. 6. Susanne learn to raise a bell IN PEAL for the FIRST time. I could make lots of suggestions. Now make up yours for March. Following the relocation to France of the former tower captain, Simon King, last October, Wickham had been without a tower captain. We are pleased to report that at the tower AGM last Sunday, James Morgan was elected to the position. I would like to report another successful year for the Priory Band. During the year we have fulfilled our commitment to ring for the two main services Sunday by Sunday together with additional special services, weddings, and other events as requested. The fact that we ring twice on every Sunday of the year should not be overlooked as it is now a very rare tower that achieves this level of service ringing. I would like to pay tribute to all the band who make this possible. During the last year the number of times that we have been able to ring all 12 bells on a Sunday morning has increased to the point where it is now in the majority which is I believe appreciated by the congregation. During the year we were able to ring for three particularly happy occasions, firstly the licensing of our new Priest In Charge, Rev Charles Stuart and more recently for the licensing of Rev Richard Partridge as associate priest in the parish. On the latter occasion the Bishop of Southampton thanked me personally for your efforts. We also rang a quarter peal to celebrate the diamond wedding of Charles and Daphne Richards. Charles and Daphne listened to the quarter from outside and by all accounts it was hugely appreciated by all the family. Our ringing was also recorded by Radio Solent and broadcast on Easter Sunday as a prelude to the recorded service from the Priory. Unfortunately, left to their own devices they chose probably the most unflattering piece of ringing out of about 45 minutes of recording. As you will be aware by now my twin objectives during my time in office have been to improve the quality of our ringing as a whole and to enable individuals to develop their potential as ringers. Our overall standard of striking has improved I believe and a number of individuals have achieved personal milestones during the year. As part of the First Peal 2015 initiative, Ros Martin rang her first peal at the Priory in February. She has since gone on to ring two more at Fawley and Minstead. Nicola Penny rang her first quarter peal inside, Grandsire Doubles at the Priory and has also rung a quarter peal at Corfe Mullen where the entire band were under 18. Luke Brooke rang his first quarter peal of Grandsire Doubles at Brockenhurst. Whilst the amount of time people can devote to ringing does vary, there is no doubt that those ringers who put time aside to work on theory outside the tower, to visit other towers for practice or for District Events or training courses will see their ringing improve and we will see a corresponding benefit in our ringing here at the Priory. During the year we welcomed Helen Penny to the Sunday service band and we have two probationary ringers who started 6 months ago, Jack Brooke and Graham Green who are both making good progress. We were sorry to say goodbye to Bethan Halpenny and her family who have moved to the Wirrall but we have heard from Bethan that they are settling in well and have started ringing at West Kirby. We entered both striking competitions again this year and I was pleased with our efforts on both occasions. Members of the band have given their support to various District activities including District practices and special practices and including the very successful youth practices at Brockenhurst. We hosted a very successful District Carol service for the District in December. 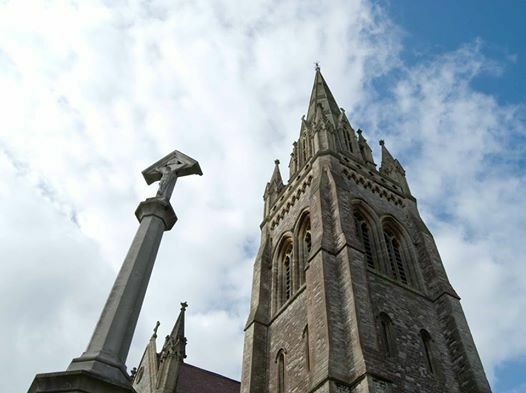 We are grateful for the regular support that we get from some other local towers, in particular from Hordle and from Hampreston and some of the Bournemouth ringers. On the social side we held a very successful Tower Dinner at Hoburne Park again this year and our thanks must go to Rosemary for her organisation on that occasion. Looking to the future I feel that despite the numerical strength of the band it is important that we continue to teach and develop new ringers and I will seek to do this as the opportunity arises. It’s a great encouragement to see new people learning the skills of ringing and becoming part of our band and the wider ringing community. I appreciate the support of the rest of the band in this endeavour particularly with the early practice at 6.50. I promise you it is worth it! We also need to spend some time considering the need for a longer term plan for the future of the installation. Although an inspection reassured us that there are no immediate problems there is no doubt that work could be done that would, to a greater or lesser extent, depending on our ambition, bring about significant improvement in the Tower. We talked about establishing a small group to look at this last year but this has not progressed and perhaps we should look at that again. As before, I must thank all those who take other positions of responsibility in the Band, in particular to my Deputy Frances Benjamin and to Rosemary, both of whom are responsible for the ringing in my absence. I would also want to recognise every member of the band for the time and commitment you show to maintaining the tradition of change ringing at the Priory. Tower Captain and Ringing Master.